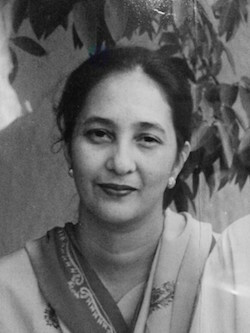 Madam Balveer Kaur, daughter of the late Giani Tahil Singh, passed away on 14 Feb. Giani Tahil had, among others, served at Gurdwara Sahib Tanjung Rambutan. Home add: 29, Jalan Sultan Salahuddin Abdu Aziz Shah Satu, 9/6A, Shah Alam. We feel very distressed really, Amarjit. Our deepest sympathies and sincere condolences to the entire family. Our deepest condolences to my cousin Amarjeet, Kiran and Arvin. Words cannot express how sorry we are. Although we are not with you in prson, our thoughts and sprayers are with you. Waheguru will give you the strength, keep strong for the boys. Our deepest condolences to Amarjeet, Brother Dheer and all the family. Ths is no way to go for such a nice and loving person. Be strong and have faith that our WAHEGURU will serve justice and give you the support to move on. Our prayers are with you and Balveer. Our heartfelt condolences to the family! Having all or you in our thoughts and prayers. May waheguru give you the courage and keep you safe during this difficult time! Wishes from Jan, Molly and Debrina in Hong Kong. My deepest condolences to Mr Amarjit, Mr Kiran & Mr Arvin. My deepest condolences to the family. Although I did not know her, Balveer Kaur did not deserve such treatment! May Waheguru give strength and courage to the family. Deeply distress. At the sudden passing away of a good friend. Used to be our neighbour in Section 8 Shah Alam. Deepest condolence to Amarjit, Kiranjit and Arvin and families.